Amla Navmi (1 November 2014) and Tulsi Ekadashi (3 November 2014) festivals are celebrated in Kartik month (the same month as Diwali in India). 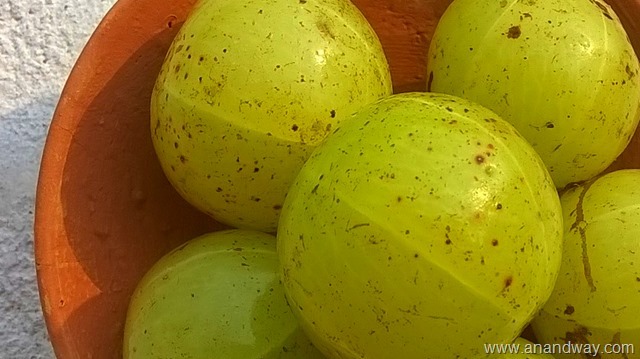 It is harvest time for Amla (Indian gooseberry) and Tulsi. Both are super rich in antioxidants and immunity boosting phytonutrients. Ayurveda was integrated in day to day living by the founders of Ayurveda. An average Indian has plenty of experience of Ayurveda, though may not be consciously aware of it; as the science of Ayurveda is no longer available in school education. A child learns at home and through festivals about food as medicine, which is a basic tenet of Ayurveda. Amla Navmi festival honours this health fruit. Amla is rich in Vitamin C, Potassium and is an important part of the famous Ayurvedic medicine Triphala, used for keeping the digestive system clean. Amla is used commonly as chutney, amla candy, amla murabba, amla powder with misri, amla oil for healthy scalp and hair. Blend the ingredients. Add a little water if needed. 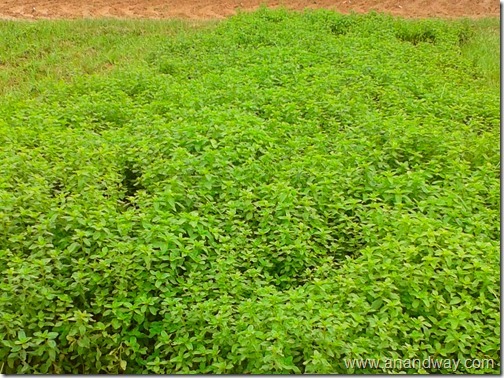 A pot of Tulsi (Holy Basil) is found in almost every Indian home. Tulsi chai is an integral part of home remedies for the common cold, rheumatism and fever. In the Vaishnav tradition of worship. 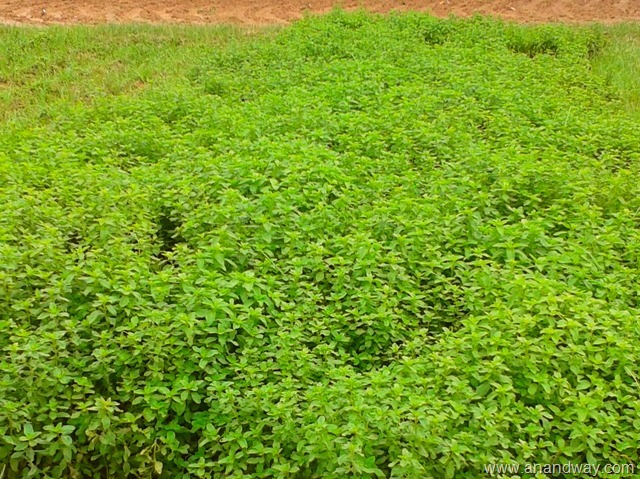 Tulsi leaves are used to garnish all food before it is eaten. This is a simple way of preventing diseases caused by low immunity. Tulsi keeps body’s immunity high. Take a bunch of fresh or dry tulsi leaves. Add to a mug of boiling water. Switch off the heat. Cover and wait for 5 to 10 minutes. You may find a thin film of Tulsi oil on the surface. Add a natural sweetener like honey, jaggery or misri and sip your way to daily detox and good health. Tulsi and Amla are very valuable herbs for preserving health and bringing the body back to health. If these do not grow in your geo-climatic conditions, it is a good idea to use Chyawanprash, Amla powder, Amla candy, Amla murabba, Amla tablets, Tulsi tea or Tulsi tablets. Food is medicine in Ayurveda. If you have access to an Ayurvedic Doctor/Vaidya, you can know more about the benefits of Amla and Tulsi for your individual body type. Can I grow tulsi at home? Tulsi is easy to grow at home from seed. Keep the plant away from winter frost. Where can I get Amla tree saplings? Amla tree saplings are available at UP Forest department nurseries. I see Amla trees and fields of Tulsi growing in Mothercare school and La Martiniere Girls’ College Lucknow.